It's time to break out your prized PokÃ©mon and prove that you're the very best in the world - like no one ever was. One of the great things about the PokÃ©mon games is that they can appeal to two very different audiences. For casual players and kids, you can blow through the Gym Leaders and Elite Four with just your level 70 Charizard if you so choose - but for people who want to take the game to a different level, there's a surprisingly deep strategic and stat-building game beneath the surface. That second game is the one that you'll want to bring to the PokÃ©mon Video Game Championships: This week, The PokÃ©mon Company announced the next season of its yearly worldwide competition, including tournament dates, locations, and more. The U.S. Regional Qualifiers will begin on Saturday, May 8th in Seattle - the home base for all things PokÃ©mon Company in the States - and travel all across the country. Similar qualifying tournaments will be held concurrently around the world in Japan, the United Kingdom, Germany, France, and Spain. Interestingly enough, thanks to the release of the wildly popular HeartGold and SoulSilver, the league will be now allowing legendary PokÃ©mon into the competition. So even if you'd rather take on all comers with your team of meticulously EV trained Rattatas (in which case, screw you and stop calling me, Joey) you might want to consider the fact that they'll probably be up against the likes of Mewtwo, Rayquaza, and the PokÃ©mon God Arceus. Which could be a bit of an unfair fight - just sayin', is all. "The return of the PokÃ©mon Video Game Championship season allows PokÃ©mon Trainers everywhere to join in and be part of the fun and excitement that PokÃ©mon is known for," said J.C. Smith, director of consumer marketing for The PokÃ©mon Company International. 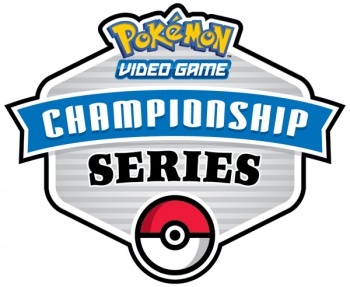 "This year we're increasing the number of tournaments and are implementing new rules to ensure some of the most fast-paced, exhilarating, and entertaining matches that the PokÃ©mon Video Game Championships have ever seen." Everyone who brings a copy of HeartGold and/or SoulSilver to the events will get a special event-only PokÃ©mon: A special "shiny" Eevee that is a different color from those normally found in the game. Dude. Shiny Eevee. Do want!